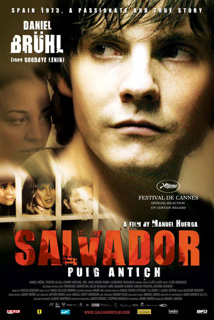 Salvador Puig Antich (2006) is a movie directed by Manuel Huerga with Daniel Brühl playing Salvador Puig Antich, Tristán Ulloa as Oriol Arau, Leonardo Sbaraglia as Jesús and Leonor Watling as Cuca. This drama story tells about the life of Salvador who was executed on march 2, 1974 as the last political prisoner in Spain and the fight of his friends, families and lawyers to avoid this tragic event. Let´s start the day at the universitat square located at the Eixample district where, in front of the university of Barcelona (gran via de les corts catalanes 585), there was a big demonstration against the death of a student in the movie. Take the pelai street which will bring you at the top of the rambla street at the Ciutat Vella district, then walk down this famous street until the reial square, just a little after the liceu station metro, Salvador and his colleagues of MIL (Iberian Movement of Liberation) were reunited in a bar and Cuca appeared here the first time. Leaving the square via the passatge madoz street, then turn on your right and 3 streets farther, just after the avinyo one, there is a small passage called passatge credit. Pay attention because it doesn’t look like a street and there are tables and chairs which is the terrace of the restaurant, to be sure, take a look above the door, you should see its name in castilian. The apartment of the Salvador´s family was located here. Going back to the ferran street, you will walk straight until you will cross a big avenue called via laietana, walk up the street then you will see that it is divided in 2 ways, take the right one and cross the square, you should be at the ausiàs marc street at the Eixample district, turn right and 2 streets farther, there is the girona street. This street can be seen on the beginning of the movie where there were the shoot between the police and the MIL group and the arrest of Salvador. 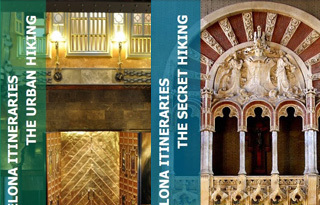 Now walk up the street and the 3rd street on your left, take it until you will cross the rambla de catalunya street then turn right, just at few steps, you will find the number 34, it was the flat of Cuca. Going up until you will cross the mallorca street, normally 4 streets farther, then turn right until you will spot the number 283, the building is the illustre collegi d'advocats de Barcelona where lawyers tried to get a reprieve for Salvador. 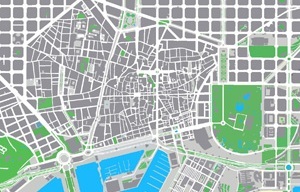 Return on your steps until the big avenue called passeig de gracia, on your right at few meters, there is the metro L5 diagonal, take it, direction cornella centre and get off at the hospital clinic station. The scene is just after the shoot, Salvador has been brought to the Hospital Clinic (c/ villarroel 170) because of his injuries and the corpse of the dead police. Just behind the hospital, there is the Model prison (c/ entença 155) where Salvador was incarcerated after his healing. To go there, just at the exit of the metro, follow the rosselló street until you will cross the entença street, the building will appear on your left. Keeping on the rosselló street, you will arrive to a big avenue, cross it and turn left then spot the metro L3, just at few steps. 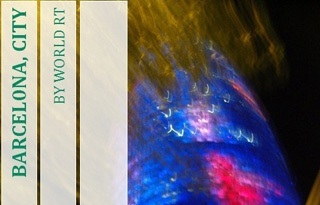 Take it in direction zona universitària and get off at the maria cristina station at the Les Corts district. There are 2 big avenues, take the one called gran via carles III until the number 84-98, you will discover the Trade buildings where the group of MIL held up a bank. To end the day, let´s go back to the metro and take the opposite direction, you will get off at the espanya station at the Sants Montjuic district. 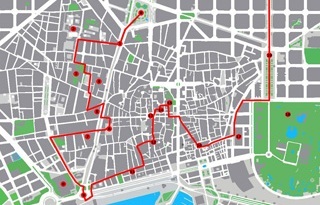 To reach the Montjuic cemetery (c/ mare de déu del port) where was buried Salvador, you will have to take the bus number 13. The bus station is located just behind the 2 high towers.